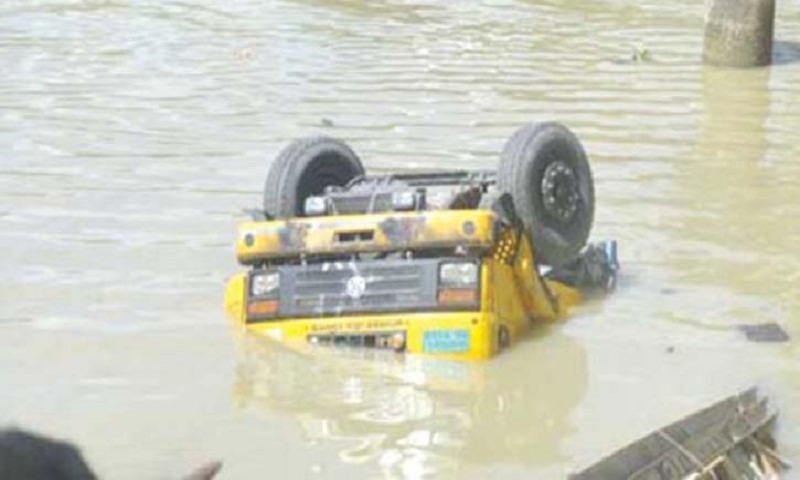 Three people were missing while a brick-laden truck fell into Turag river at Morgao area of Ashulia in Savar, an outskirts of the capital early Tuesday. Among the three victims, one was identified as truck driver. The incident occurred at 6 am. Being informed, two units of rescuers rushed in and trying to rescue of the victims, said senior official of DEPZ fire service Abdul Hamid.